Augmented Reality is an interactive tool enabling brands to create fantastic content. Brands already recognizing the power of Augmented Reality marketing have used AR successfully in their marketing campaigns getting greater visibility, having more fun, and enjoying revenue growth as a result. Find out what Augmented Reality marketing is, how it works, which well-known brands have used Augmented Reality for marketing—and how—plus examples of their successful AR campaigns. 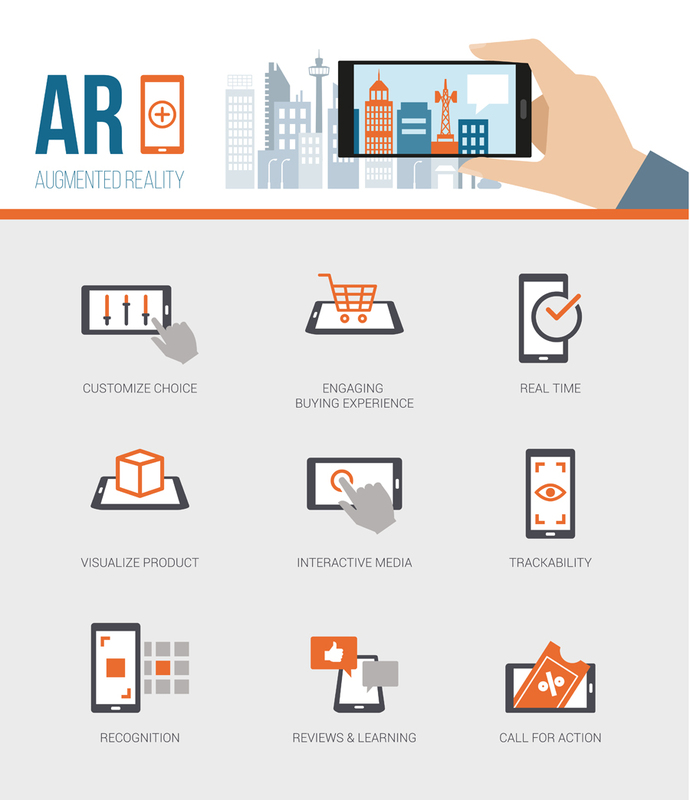 Augmented Reality Marketing: What Is It? Augmented Reality (AR) marketing sets a new trend for brands to communicate with their audience via their mobile app using interactive content. AR technology made it possible to visualize myriad types of digital content, thus easily accessing missing information about product’s size, shape and/or features. AR apps enable users to interact with products: to reach out and “touch”, view from different angles, take snapshots, and much more. Due to the still-relative novelty, a combination of these features enables creating a “wow!effect” leaving a lasting impression so users remember the product and its manufacturer. Still, we believe AR will remain engaging even when it becomes mainstream because it allows us to see a world beyond our world. Here is how an AR app works: using a smartphone camera, point at a marker or get an event activated based on smartphone’s GPS coordinates and see different types of information displayed on the smartphone screen. This might be 3D models, overlaid pictures, videos, text descriptions, mini-games—almost everything! Augmented Reality marketing is one of the most fun ways to introduce a product for both tech-savvy and non-tech-savvy audiences. Due to the technological advancement in AR engines, it is easier to produce apps for mass consumers and deliver them via app stores. Users only need a smartphone with a launched app and voilà, previously invisible objects are present and interactive. Augmented Reality is great fun, but also useful. Both suit marketing purposes. Based on the degree of audience’s awareness, companies release simple games to entertain and capture attention of potential buyers. Also, AR apps create value. Brands deliver AR catalogs and configurators to those who have neither time nor inclination to visit a brick and mortar store yet still consider a web app insufficient for their shopping needs. But AR is not limited to just these examples. Hey! Are you engaged somehow in marketing or sales promotion? We need your opinion on the future of Augmented / Virtual Reality apps. Please, share your experience by filling in the following questionnaire; it takes less than five minutes. AR apps can be used for product promotion. Via an app, manufacturers can demonstrate their products’ actual sizes and dimensions, available colors, combinations with other products, display prices and discounts. AR apps can educate their users by visualizing product features, benefits, use cases, assembly instructions, and suggest recommendations—plus much more. If you can imagine it, AR can do it. 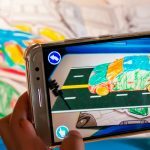 AR apps can be used to create advantages for a product. AR apps enable not just finding any product information but making it possible to try a product when and where users want it, then purchase what they like, thus saving time on visits to brick and mortar stores. Therefore, implementing Augmented Reality in an ecommerce app significantly improves user experience by raising the degree of users’ awareness and helping them buy what they want within one digital solution. We have witnessed many large brands that have enjoyed successful Augmented Reality marketing campaigns and reached their goals, from increase of brand awareness among its audience to getting more recognition from online and offline media to sales growth saving users’ effort on decision making. AR marketing enabled brands to bring the physical and digital world together to create cohesive, engaging user experience to help them stay relevant in this mobile-first world. The app enables makeup lovers to try on different cosmetics from L’Oréal. Via Makeup Genius App, users test different looks and change styles in just a few taps. The app contains different collections and novelties the company promotes. To simplify users’ lives, L’Oréal offers free looks created by professional make-up designers. Among its killer features, the app reflects—via an interactive mirror—any changes making the picture on the display look real. The app has been created to customize a BMW car in a fun way. It enables interacting with i3, i3s, and i8 models choosing from assorted colors, interiors and wheels. Users just need to find space big enough to place a car into it. This app is the first step to an omnichannel providing a bridge to an online BMW configurator to complete car customization and proceed with the purchase. In partnership with World Wildlife Fund, the brand wanted to draw people’s attention to the problem of melting Arctic ice that creates danger to polar bears. As part of a long-term worldwide program, Coca-Cola organized an AR event in London Science Museum where, in a special space, everyone could touch a mother bear and her two cubs. This event is a great example of how Augmented Reality can fit in with other brand’s activities. A special stand with an all-white Nike shoe (three models available) and an iPad with a pre-installed app enabled visitors of Nike stores to test assorted colors. Users were able to customize a pair of shoes choosing from a variety of color and texture combinations. 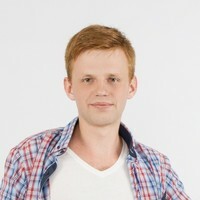 The app enabled the manufacturer to study market interest in different models and make decisions on stock optimization. The app is used together with an IKEA catalog. Users open the catalog to a page displaying furniture they are considering buying. The steps are simple: place the open catalog on the spot where the desired piece of furniture should be, activate the IKEA app, then see on the smartphone screen that piece of furniture in its actual color and dimensions. Instead of guessing, users try the items at home then decide whether to purchase or not. A new Augmented Reality mobile app by Lego enables children to play with the most popular Lego sets via smartphones and tablets. The app provides animation, video and sound effects that can activated when playing a game. Also, children can search and collect hidden golden bricks. The app is aimed at replacing the old AR app Lego discontinued using long before. Timberland used a wide screen for an Augmented Reality showroom enabling passersby to try on various outfits without needing to enter the store. A special camera scanned people and picked up good models. Based on people’s gestures, the app changed shoes and clothes. Also, people were able to order clothes by entering their email address or just go into the store. A tablet app and a Facebook app were created for those unable to visit the mall. 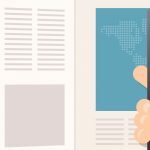 Read good advice to start an augmented reality advertising campaign through an app. Provide clear instructions. Keep it simple. Limit information on the app: too much information means people get bored and click away. Provide instructions in three or four steps (for example, point the camera at object, select chosen item from the list, tap on the item to change the color: enjoy!). Offer right experience. People must be motivated to download and open your app. It should help them reach their goal in a few steps (for example, try out furniture at home before they buy). Quality of 3D models is crucial. The more the model resembles the physical object, the better. A low-quality model will be visible through the smartphone screen and spoil the user experience. Hire AR experts if you do not have a high-quality, in-house AR team. Seamless user experience and smooth app functioning are crucial for the overall success of the app. If you have doubts you can achieve it alone, do not hesitate to contact a reliable augmented reality developers. Augmented Reality technology is a powerful marketing tool providing immersive user experience. Even more, Augmented Reality is likely to become mainstream. Many users have tried AR mobile apps or at least heard of them. At the same time, the use of AR requires no investment from customers but provides clear benefits of testing various products when and where users want it. Augmented Reality is likely to become mainstream for both online and offline shopping and the touch point where customers make decision on a purchase. Do you have an idea how AR improves brand perception?